Why Marathon is Exactly 26, 219 Miles? Marathon is not just a competition. It is a real test of human endurance and strength of mind. This extensive distance attracts and scares many runners at the same time. To do the marathon means to overcome a personal challenge. The athletes obtain pride, respect, and impressive memory. The experts say that practically everyone can participate in this long distance race. You simply need a big desire and work hard to reach the target. The classic marathon distance is 42 kilometres 195 meters. Some newcomers in running consider it absolutely impossible. The other athletes, even more, experienced do not see a big difference with 10 or 20 kilometres race. Both are not right. For sure, the marathon refers to hard loads. It is a difficult task to from start to finish. Especially it’s complicated for the first time. Nothing is impossible. It is vincible with the proper mood and training program. Every year thousands of people prove the world that it is real. They have different ages, physical fitness, and social level. Only uncertainty or health problems can be obstacles. Everybody should evaluate this running examination seriously. What do marathon runners need to fulfill their dream? They cannot avoid careful workouts. Preparation includes clear daily exercise plan, necessary equipment, convenient cloth, and a special diet. You should be ready psychologically as well. Each participator in the marathon will tell you about the changes in their minds after they crossed the finish line. There is a feeling that you can win the other battles in the life. Are you still doubt? Here are several ways to overcome psychological barriers. 1. Find soul mates. You will be able to encourage each other. It will be great to prepare for the same competition. It is not necessary to run together. You will share a positive support. Discuss your successes and problems. Talk about preparation plans. Review the tested equipment. You will easily find such friends on numerous forums of run funs. Social networks will help you too. The ideal option is to find a partner for running in your place. Running together at the same speed makes the super distances shorter. 2. Find the consulter. It’s useful if this person has successfully passed the marathon. Let him be your adviser, motivator, assistant, trainer, and supporter. 3. Remember that something the big consists of the small ones. Try to consider this significant distance as a range of short races. This division makes a huge way not so frightening. 4. Try to choose new routes for long training. Same circle running for several months is emotionally very wearing and boring. Diversity will only benefit. Actually, the marathon has an official distance of 42.195 kilometres or 26.219 miles (26 miles 385 yards). According to the myth, the courier ran from Marathon to Athens to bring the news about the victory of the Greeks over the Persians in 490 BC. This was more than 30 kilometers in a straight. In 1896 during the first modern Olympic Games in Greece, this route was longer. The organizers chose 40 kilometers road. Only in 1921, the International Athletics Federation fixed that this distance should be exactly 42 195 meters. This length came from the IV Olympic Game. They hold in 1908 in Great Britain. The organizers decided to start a race from a royal castle in Windsor and finish in London at the Grand Stadium in front of the royal box. The path was 26 miles (41,843 meters). However, it did not reach 385 yards (352 meters) from point of start and up to the king’s box. This was added to the route. Marathon distances of the first modern Olympics. 10 Reasons to Be a Marathon Runner. Theoretically, you can battle a marathon without special training. Time limit allows a person can even walk only. However, your ambition is to be able to run. In this case it worth to think about training, race day and recovery. The target is not to get the injuries. to conduct an examination at a The conclusion from a cardiologist and an orthopedist will determine your future level of necessary work. General Training Principles for a Marathon Runner. 1. Keep the 10% rule. It means increasing the mileage not more than 10% per week. For the beginner, it is enough to run about 30 kilometres per the first week. Professional marathon runners are able to do 150 kilometres weekly. The main task is not a training record, but an adaptation to increase the loads. At this stage, the most important thing is not to get injured. You should not to overwork. Do not forget about the family, main job and hobbies. 2. Engage in alternative sports. Devote one day a week to the other activities apart of running. This may be cycling, swimming, aerobics, and power exercises. During this period, your spine and joints will have a rest from shock vibrations. At the same time, the body will continue to prepare for the competition. 3. Do not neglect long workouts. Long training sessions are key in the preparation for the marathon. They teach the body to cope with overloading, These exercises increase endurance. The muscles burn the fat to enrich the energy. Long workouts are necessary to avoid fear and unpleasant feelings. Such training is useful not only for the body. The brain also becomes stress resistant to super long running. You accept that minute by minute, hour by hour you must continue to run. High level of recovery is the basis of winning preparations. Weak days are required after every 2-3 weeks of intensive mileage increase. Arrange a week of rest. Go back to short distances. Your muscles and ligaments need such relaxation period. 5. Do not forget about proper nutrition and rest. A balanced diet is a guarantee that the body will be sufficiently full of right fuel. You need the energy to survive the intensive training. Special marathon running diet is a building block of your achievement. Sufficient amount of protein and vitamins is essential. A runner needs a balanced diet. Plenty of proteins, fats, and carbohydrates should be on the menu. Carbohydrates are better to eat for breakfast. Leave protein food for lunch. Marathon runners will benefit from steamed fruits and vegetables. They will be a source of useful microelements and vitamins. You need a plenty of liquid. It prevents dehydration during training, race and afterward. Runners’ ration and drinking schedule is a special science. The years of experience proved it. The balance of hard work out and rest is critical in preparation routine. The main task is to spread the work and rest in harmony. st. Marathon attendee needs at least two days of rest per week. The whole organism including the muscles has the chance to recuperate. Stamina reserve will be reactivated. A very important tip in the way to pass marathon is correct clothing, shoes and other special gear and kits. Properly selected equipment will be another step to success. Pay attention to your running needs. The clothing should help you to avoid injuries. These running accessories provide support for the muscles, joints, ligaments. Nowadays there is a big choice of appropriate clothing. New technologies take care about athletes’ comfort during training and competitions. The shorts, tops or T-shirts have to be seamless. Any seam can rub the skin within hours of running. Quick drying and wet wicking fabric are preferable. Cotton is not the best choice. Nylon or polyester keeps you safe and comfortable. Mesh panels will bring extra ventilation. The most common places for them are at lower back or underneath the arms. Zippered pockets guarantee enough room for the things you need to take with you. Proper running shoes is a key factor for every athlete. Remember about the specific of long distances. The models which are good for short miles could create the inconvenience for long races. It’s hard to give universal advice. Manufacturers offer a wide assortment of running snickers. Advanced technologies can make your workouts more efficient and less traumatic. Choose models with suitable pronation, good ventilation, and cushioning qualities. They have to provide an excellent shock absorption and energy efficiency. It’s better the shoes are universal to train on different surfaces. This helps the leg to land clearly on the ground, without unnecessary slips or vibrations. The most crucial is to prepare and test all the clothing, shoes and other gear in time. The main rule is nothing new during the race. Unpleasant surprises are not the friends of the win. There are the other helpful but optional devices. To analyze your own achievements and adjust the training plan, it is not bad to purchase a heart rate sensor (pulse monitor). 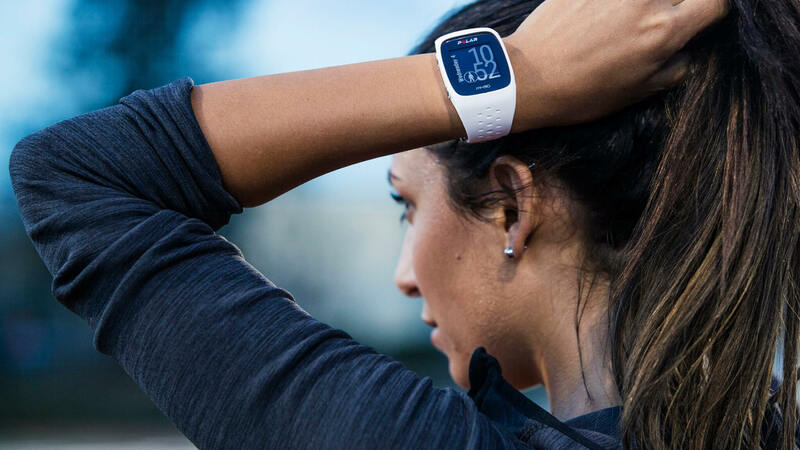 A sports watch with the ability to track time and mileage will be useful too. You also can calculate any route with the help of online maps. And one more tip. If you do not use digital devices just take a regular notebook. You will remark your achievements there. It helps to record the whole training process. These notes will be the storage of experience in preparation for the next marathon. Above recommendations are only general principles for training for marathon members. Everybody can make their own adjustments. The corrections accumulate your own goals and fitness level. A perfect variant for marathon runners is the fitness tracker. Actually, it is a small plastic wristband that helps maintain the record of your physical activity. It also helps control the body’s response to physical activity. You can wear it on the wrist, ankle, shoulder, or clothing. The wristband may be with or without a display, have different functionality. So, if your goal is to lose weight, you need to run in the aerobic style. Avoid briefness of breath and spend at least 45 minutes on training. Watch your pulse. A fitness tracker will help you with this. It will tell you when you’re burning fat, and when you are running fruitlessly. Anaerobic activities are predominantly for advanced athletes. Even those who want to pump up muscles should start with low-intensity exercises. That way they will develop their bodies for more purposes. It syncs with your smartphone. You won’t have to worry about missing calls and texts. It will link with your social media accounts. You won’t have to bring your phone to the gym anymore. The display will show when someone wants to reach you. The fitness tracker is waterproof. You can get your hands wet. The battery is also long-lasting. The charging time is 24 hours, and it lasts for up to 8 days. The most famous series of races in is World Marathon Majors. They include marathons in Boston, London, Berlin, Chicago, New York and Tokyo. These are the greatest festivals of road running. Every year more than 200,000 people take part in them. Several millions of viewers and fans track the events. 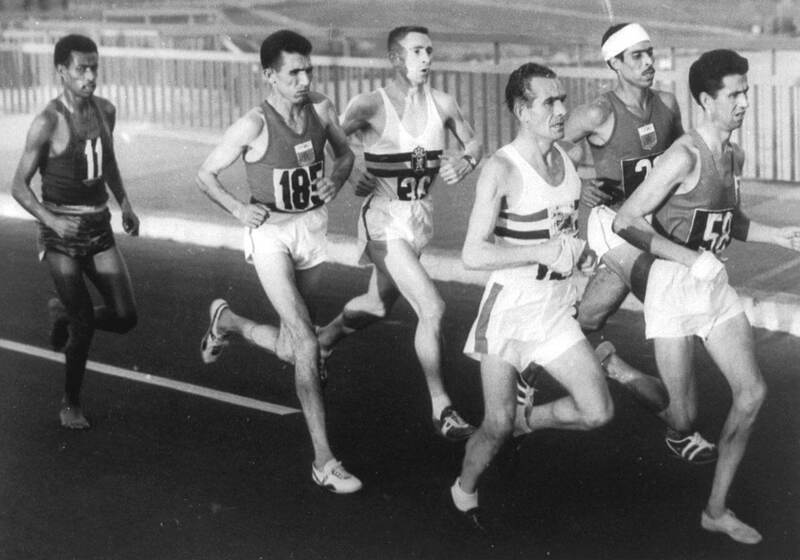 The Boston Marathon is one of the oldest races. It was founded in 1897. The wave of inspiration after the 1896 Olympic Games was the main reason. The current route is practically the same as it was at the beginning. There were some changes. Since 1924 it starts in the city Hopkinton and ends in the historic street Boylston. The Boston Marathon is held on the Day of Patriots in Massachusetts. It is the third Monday of April. In order to qualify, you must fit the specified time standards in your age and gender group. The first start of this event was given in 1984. Since that date, it has grown up to 39,000 participants. People from 196 countries around the world track the race in London. About 5 million British and foreigners support the runners in the streets. Qualification registration works only for UK residents. The foreigners have to take part in an entry lottery. They can try their luck through charity foundations. As a rule, these organizations fight with cancer and other serious diseases. The applicants should write the reason and purpose they want to run. They also require indicating supposed amount of money which the participant is going to collect. The first in Berlin marathon was organized in 1974. In order to be the Berlin Marathoner, you must participate in the lottery and apply either by yourself or on behalf of the group. Another option is to represent a charity organization. A special tour operator is able to help you as well. This association specializes in travel support for the runners. They work very closely with the organizers of races. It gives an almost 100% guarantee to join the most popular marathons. Qualification test is an option if you are sure in your skills. For men, it is 2 hours 45 minutes. Women can pass 3 hours barrier. 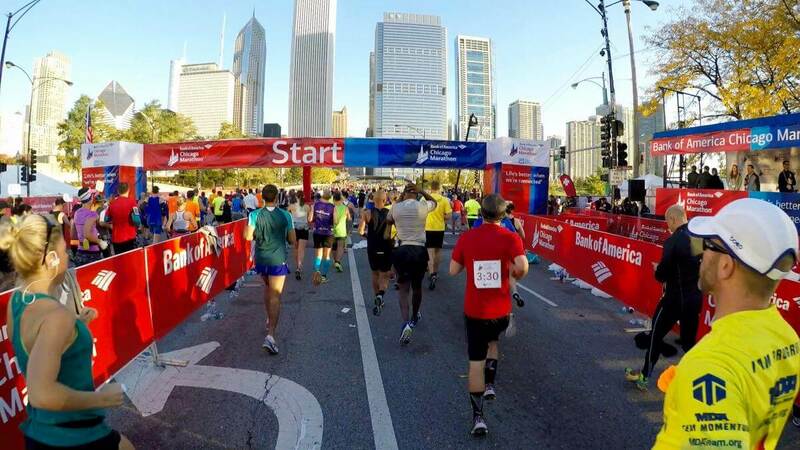 Each autumn, more than 1,700,000 spectators follow along with the route in order to support the participants in the Chicago Marathon. More than 40,000 runners pass through 20 districts of the city. In order to qualify for this marathon, you must finish at least 5 Chicago Marathons during the last 10 years. Or fit into the qualification standard. They require 3 hours 15 minutes for men and 3 hours 45 minutes for women. The cost of participation for US citizens is $ 195. The others should pay $ 220. There is also a limited number of places that can be obtained through charity registration. In this case, you need to be a member of one of these organizations. 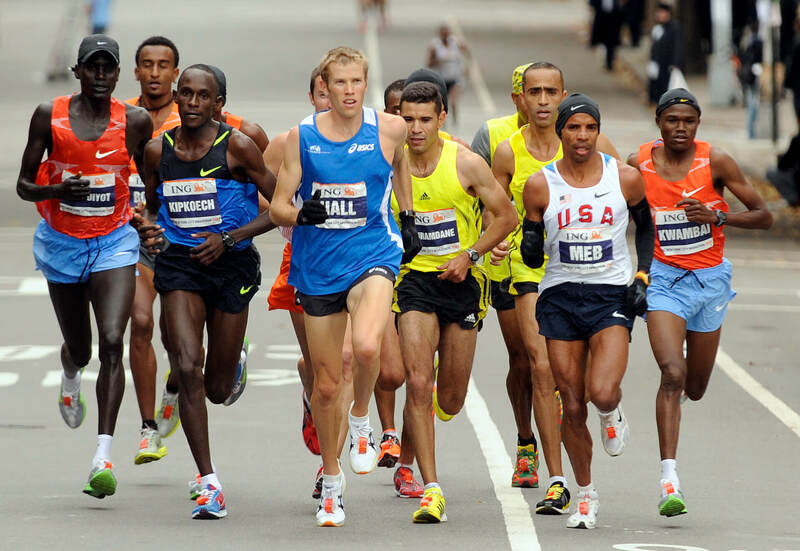 The New York Marathon is one of the most ambitious and key races on our planet. It began its journey in 1970. Since that date, more than one million people finished this distance. Participants from 125 countries start from Staten Island and cross the finish line after 42 kilometres and 195meters in Manhattan. Everybody can rely on luck to attend this competition. Registration is done by the lottery. It means that everyone over 18 years old has a chance to take part in the race. The other guarantee to enter is passing qualification standards in your age and gender group. The Tokyo Marathon is the youngest among these six. It was listed only in 2007. 95,044 people applied for the first start in Japan running fight. 30,870 were happy to take part in this race. Now Tokyo Marathon has grown up to 300,000 applicants and 36,000 participants. The ways to do this distance in the country of Rising Sun are the following: qualification test, charity organization or lottery. 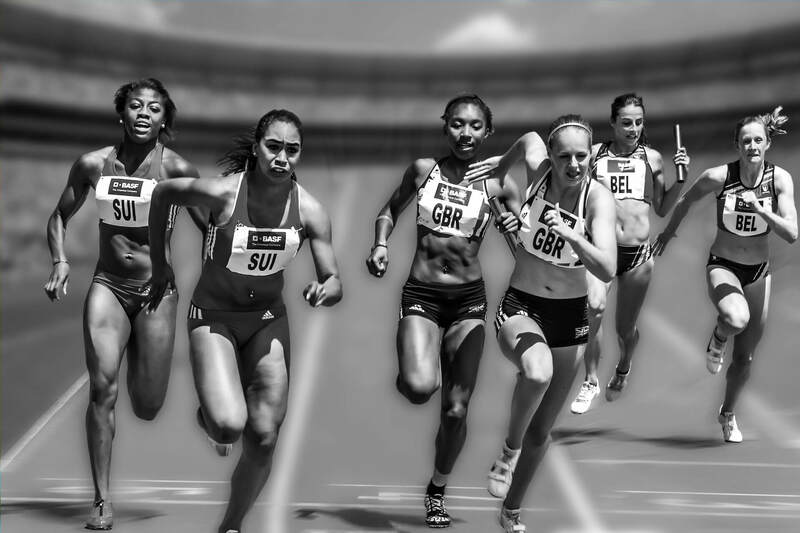 Running types of sport are attractive to numerous people. Marathon is a running kind as well. At the same time, it is a unique one. This activity demands a significant wish, hardworking and talent and many skills and talent. How to evaluate all the features and define the best once? Here is the list of 5 outstanding runners. They made an extraordinary contribution to the prominent race. In 1960 Abebe Bikila won the marathon in bare feet at the Rome Olympics. He is famous to be the Olympic marathon champion twice. Bikila got a gold medal again in 1964at the Tokyo Olympiad. Besides, it was his second world marathon record. A stadium in Addis Ababa, the capital of Ethiopia is named in his honour. The Kenyan athlete dedicated himself to long distance running. He ranges from 10kilometer up to marathons. Wilson was the first one to break the two-hour five-minute score in a long race. The runner beat the result five times. His best came from the Berlin Marathon in 2013. He reached the way for 2 hours 3 minutes and 23 seconds. The man got the bronze medal at the London Olympics in 2012. 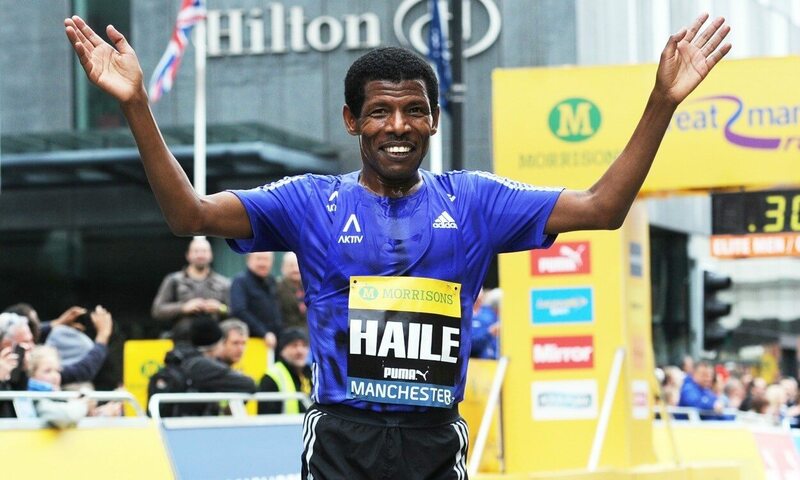 One more his success in the London Marathon in 2014. The record was 2 hours 4 minutes and 29 seconds. Kiprotich had the series of golden runs from 2010 to 2014. He won 11 races back-to-back. Outstanding record maker from Kenya. He was 32 years old when he set his best achievement. He brought the best world time in the Berlin marathon. The result 2 hours 2 minutes and 57 seconds impressed everybody. Dennis joined a big sport in 2008. He joined a known runner Mutai’s training group. Earlier the Kenyan man practised farming. His deal with growing maize and tending the cows. He concentrated on training and racing full-time. The efforts brought hem some significant victories. 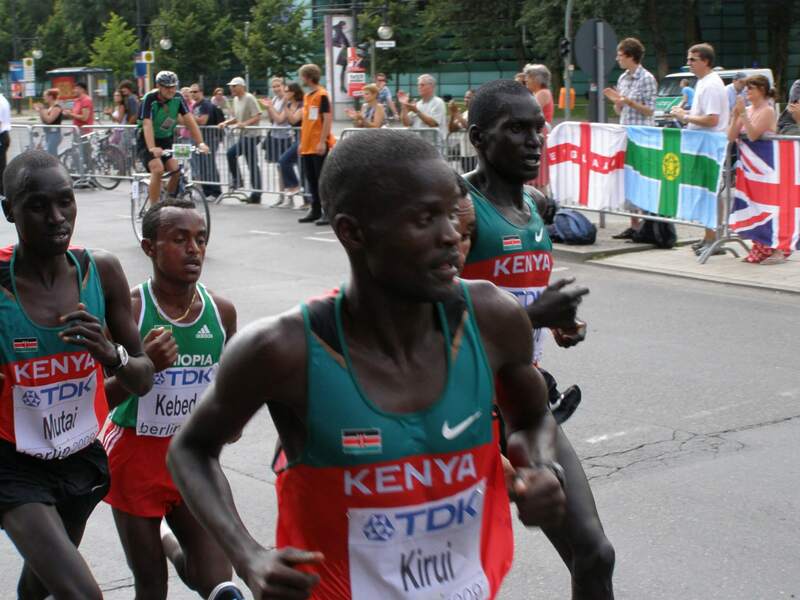 2013 was the milestone year for Kimetto. He won the Tokyo Marathon that year with record time 2 hours 6 minutes and 50 seconds. On 13 October 2013, he overcame his perfect score during the Chicago Marathon. New record time as 2 hours 3 minutes and 45 seconds appeared. Eliud Kipchoge became closer to 2 hours time frame in the marathon. The result of the winner is two hours, one minute thirty-nine seconds. The figures are better more than a minute compares to the previous ones. The new world record happened in September 2018 in Germany. One of the major running events is known as the Berlin marathon. More than 44 thousand world runners attended this competition. The incredible athlete from Kenya broke the limits of human possibility. 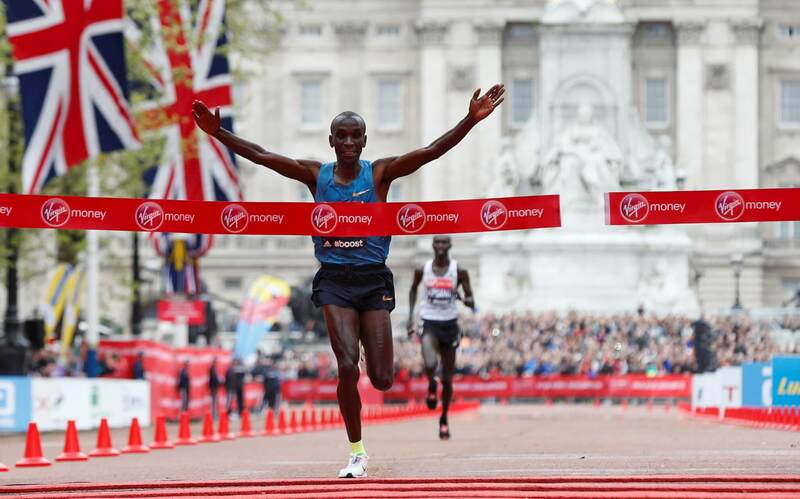 He easily overcame the earlier best result shown by his compatriot Dennis Kimetto. The previous record was kept for four years. Eliud’s running story is impressive. He won in London and New York races. Kipchoge is also an Olympic champion in 2016. Some years before he was faster to beat 26.219 miles. The way was crossed for 2 hours 25 seconds. Due to the rules this speed triumph was not recognized officially. The event was sponsored by the Nike corporation with included a pace-setter and assistive technologies. 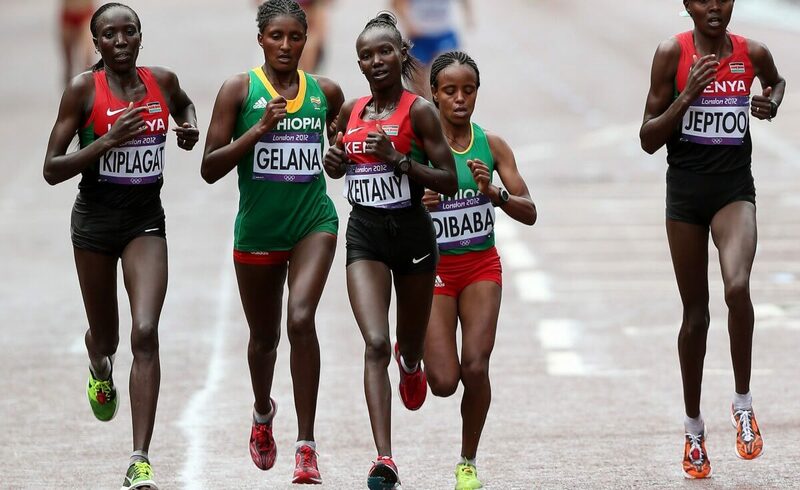 Who is the Fastest Female Marathon Runner in the World? Mary Jepkosgei Keitany is considered the fastest women who win miles of the marathon. She was born on 18 January 1982 in Kenya. 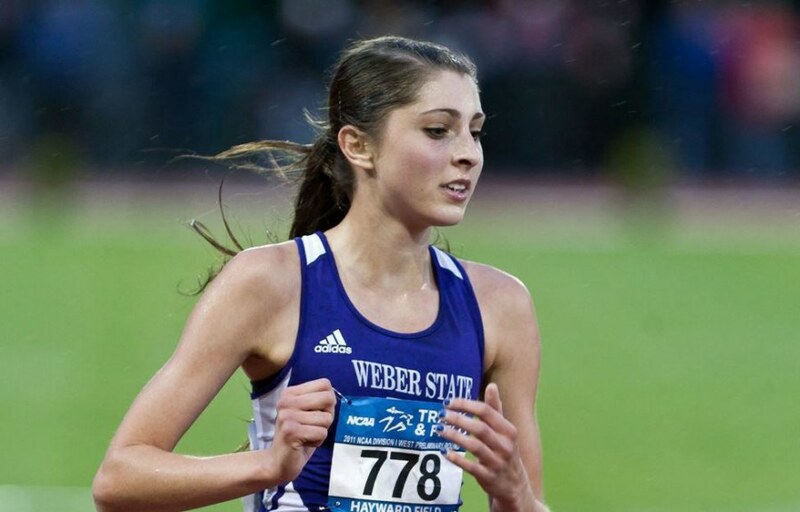 Her experience in the long-distance brought the win in London race. The record was set in 2017. The time of the best result is of 2 hours 17 minutes and one second. It was a women-only race. She is a mother of two children. The sports women conquered the other long distances including New York running battle. She is excited about her great time and considers running an amazing occupation. Her achievement is outstanding. Nevertheless, Paula Radcliffe was faster in a mixed gender race. The female runner reached the finish line for 2 hours, 15 minutes and 25 seconds. Since 2003 it is still considered as the women’s world marathon record for men and women participation. She was excited about her great time that she did. Maybe you have to go a long way before you can catch the run euphoria. Be sure that all the frustrations, accumulated tension, pain, and discomfort will disappear after crossing the finish line. Mileage. Construct mileage dose. Run three -five times weekly. Long distances run. Every 7–10 days do long races. It helps your body to adjust to long distances little by little. Speed work. Include intervals and tempo runs into your training. It improves your cardio. Sports mood and self-confidence will certainly help you to conquer the cherished distance. Running is not as easy as it may seem. To get a pleasure from running it is important to understand how to do it correctly. Following the above pieces of advice, you can run a marathon without any doubt.